This beautiful queen bed will lend a bedroom unique traditional style in an economical fashion. The elegantly designed scrollwork in the headboard and footboard provide a lovely focal point, while the chrome finished metal construction adds a sleek, spare appearance you'll love having in your home. 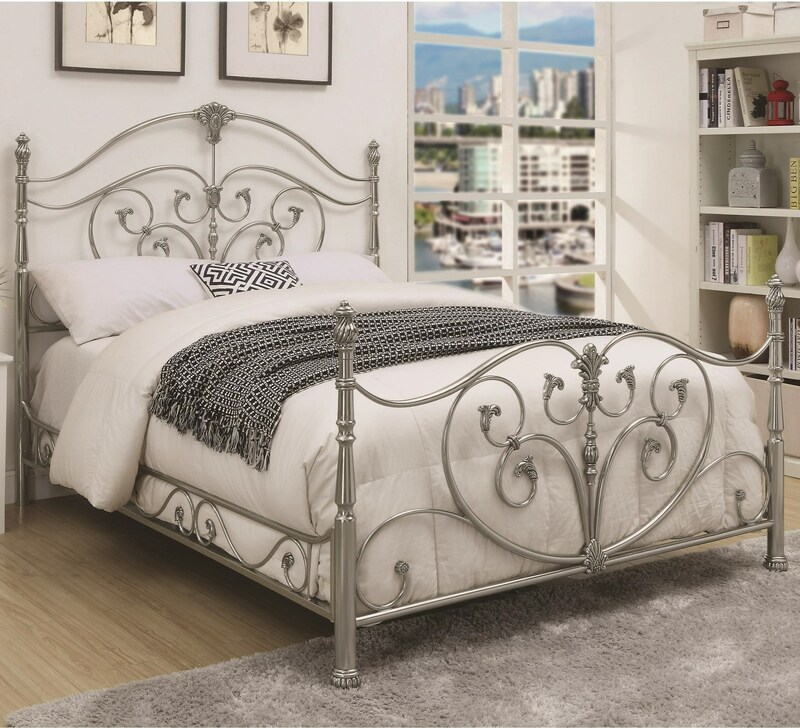 The Evita Queen Metal Bed with Elegant Scrollwork by Coaster at Value City Furniture in the New Jersey, NJ, Staten Island, Hoboken area. Product availability may vary. Contact us for the most current availability on this product. 300608QB2 Queen Bed Component 1 10.75" 85" 5.5"
300608QB1 Queen Bed Component 1 42.5" 68.25" 4.75"